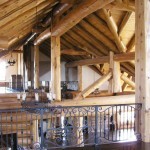 Full log residence in Colorado engineered by Alexander Structures. More description, more description, more description. 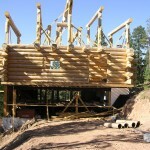 Boulder River Ranch Residence This is a full log home project with the above photo showing the structural logs that not only support the home, but add character to this 5,000 square foot residence. Call Alexander Structures for more detail. 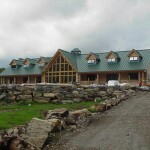 Boy Scout lodge in Maine Features custom designed log and glu-lam trusses to span 50-foot building width. Structure has no interior posts. Custom, hand-scribed, full-log, hunting cabin in southern Colorado. Residence is about 6000 sq.ft. 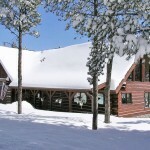 with features numerous, structural log trusses (some with hanging king posts), a log rafter roof system, and multiple fireplaces.